The training industry continues to bewail the number of young male dancers it manages to recruit. 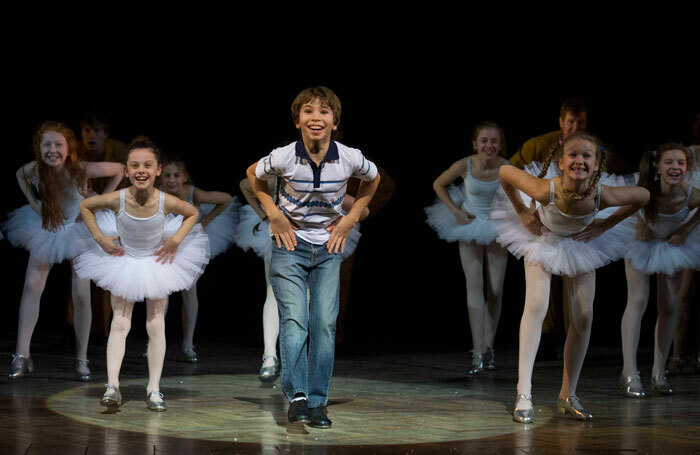 Yes, the Billy Elliot effect has made a real difference but the old perceptions and stereotypes are still there. When I talk to anybody training young performers – and dancers generally need to be caught young – they are usually very pleased if they can coax a couple of boys into a dance class. In most cases, with honourable and notable exceptions such as the full-time Royal Ballet School, 50%, or anywhere near it, is a long way off. So I’m delighted to hear that the London Boys Ballet School, which launched last year, has just enrolled its 100th pupil. It follows the Royal Academy of Dance syllabus, recruits all ages (four to 18) and abilities for classes and – so far – boasts a 100% examination pass rate. And of course, it isn’t just ballet. The school teaches a range of dance styles including jazz, contemporary, modern, tap, singing, strength and conditioning, musical theatre training and more. It also brings in guest teachers, puts on shows and takes students out to see performance and meet professionals. Founded by James Anthony, who has been running part-time schools in Wales for 40 years, the organisation is new in London but it has a long track record of sending its students on to prestigious dance and drama schools. That, and the central location – in Urdang’s new building in Angel, Islington – are clearly helping to drive recruitment. There’s a healthy emphasis on the LBBS website , too, on the strength and ‘macho’ athletic determination needed to do well in dance. Andy Murray did ballet classes, apparently, so did Christian Bale, who plays Batman, footballer Rio Ferdinand and martial arts expert Jean-Claude Van Damme. Congratulations LBBS on your 100th pupil. Let’s hope you’ll soon be telling us about the 200th. An unusual story reached me last week – about a scheme that has enabled a drama-trained graduate to go into working for an agency via an apprenticeship. Cardiff graduate Louisa Palmer, 22, studied drama, performance and media at Atrium: Cardiff School of Creative and Cultural Industries. She is now undertaking an apprenticeship as an assistant agent at the Big Talent School and Agency in Cardiff Bay. The Big Talent School and Agency includes a drama school, but also represents actors aged three to 26. Palmer’s duties include putting clients forward for roles, assisting with casting sessions, running casting searches, helping with administration and aiding when the school puts on shows and performances. Itec Training Solutions, which placed Palmer, is one of Wales’ largest providers of skills and employment services based in Cardiff. Its team of more than 170 employers is able to support in excess of 4,000 learners and work in partnership with circa 1,000 employers per year in Wales. Good to see such organisations recognising that there are some very worthwhile opportunities in this industry which is, as readers of this newspaper know, anything but fluffy. And finally folks, whatever else you read this autumn, Mark Fisher’s new book How to Write About Theatre (Bloomsbury) has to be top of the list. If you’ve ever tapped out so much as a tweet about a show (which is in effect a mini self-published review), then this is the book for you. An awful lot of twaddle is written and said about reviewers and critics (and yes, according to Fisher, there is indeed a difference) and, of course, there is ultimately no single correct way of doing it well. So it’s good to hear a still small voice of calm – authoritative but open minded. My reviews tend to be written fast, often late at night and very instinctively. I don’t usually consciously think about the elements which inform the writing. It is, I’m now convinced, time I did. Fisher very helpfully breaks down writing about theatre into ways of dealing with things such as audience, production, emotions, context and more. He even discusses star ratings, writing about your own bias (remember how Charles Spencer, former Telegraph lead critic always declared his passion for musicals? ), and how to write about culture, society and politics. Along the way this accessible, moderate, helpful and very thorough book suggests learn-the-ropes exercises. Whether you’re a highly experienced writer about theatre or a raw beginner desperate for advice and training, there is something for you here.